US Bank is the the middle of a rapid roll out of Salesforce's AI-powered Einstein features for its wealth managers to help it convert retail banking customers into its wealth management divisions. 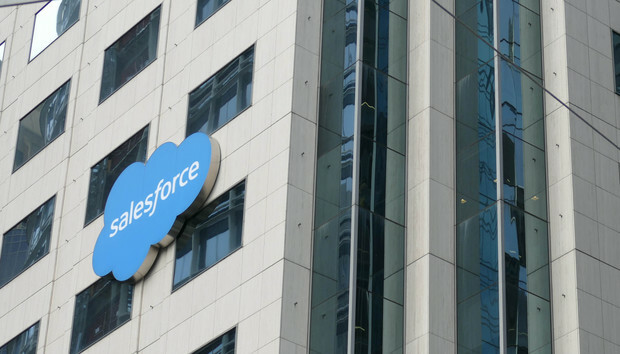 Speaking to Computerworld UK during Dreamforce in San Francisco this week, Bill Hoffman, chief analytics officer and head of CRM at US Bank, said that it engaged Salesforce about rolling out some features of Einstein for its wealth managers immediately after they were announced at Dreamforce last year. US Bank has been a Salesforce customer since 2007 and by 2015 it had consolidated its customer relationship management (CRM) strategy for wealth, mortgage and small business banking around Salesforce, ramping the user base from 2,000 to 15,000 staff members. US Bank uses a different CRM provider within its higher volume retail bank. This made it easier for the bank to adopt the machine learning features in Einstein, as Hoffman explained: "One of the key advantages is that the data is already there. A big barrier to success with AI is you have to back up the truck load of data and it can take months for the machine to start chewing on that in a material way. With Einstein it is already there." The bank started by rolling out Einstein Discovery lead scoring on top of Sales Cloud to forty teams of wealth managers in three geographies: Minneapolis, Washington and Milwaukee. This premium feature uses machine learning to score leads by their propensity to buy, or to qualify for wealth management in this case, and rank them for sales staff to optimise their prospecting. Hoffman says that these teams have seen an average improvement of 2.34x in conversion rate - so moving a retail customer into its $250,000+ wealth management division - just one year into the rollout. As Hoffman explained: "We have 16.9 million retail customers, a lot are wealth qualified but aren't yet wealth customers because sometimes we didn't have the right data or only knew about part of the relationship. So arming our financial advisors with this meant it didn't change the population of folks we talk to, but the way we do." There are three key metrics the wealth team is looking at here: new client acquisition, close rate and retention. Affecting one of those three in a material way was a key target for Hoffman in adopting Einstein. Hoffman says that Einstein allows wealth managers to have "better quality conversations, because it feels like a cross sell if you are trying to sell someone something they don't need, but if you have the data and there is real time intelligence to say they are interested that's a better situation for everyone". Next, the bank wants to scale the use of Einstein features across the divisions already using Salesforce at the bank, namely: mortgage, small business and the wholesale commercial bank. The incremental rollout somewhat comes down to contractual reasons, as Einstein is a premium feature which has an impact on the bank's capital expenditure, but Hoffman wants Einstein to be available across wealth by the end of the year and then into new divisions starting in Q1 2018.